I've recently been tempted back into the studio for the first time in over a decade. Spring Equinox 2018 saw the release of the first Campfire Circle Singers project in its initial form, the first sighting of an evolving musical journey that started in November at Campfire Convention 002.UK at Union Chapel. The track was hugely significant for me in that it was the first musical event in twelve years that made me want to go back into the studio and start creating music again. A Paros breakfast meeting with Mary Valiakas, founder of Campfire's Athens Beacon and Head of Innovation at the Hellenic Institute of Cultural Diplomacy. Mary talks about the growing pains associated with the move from masculine to feminine values, the shift from capitalism from collectivism and how Greece has used the grey zones created during its falling apart to maximise impact through new innovation, self-organising systems to bring philosophy home to the cradle of western civilisation. The story of a remix. 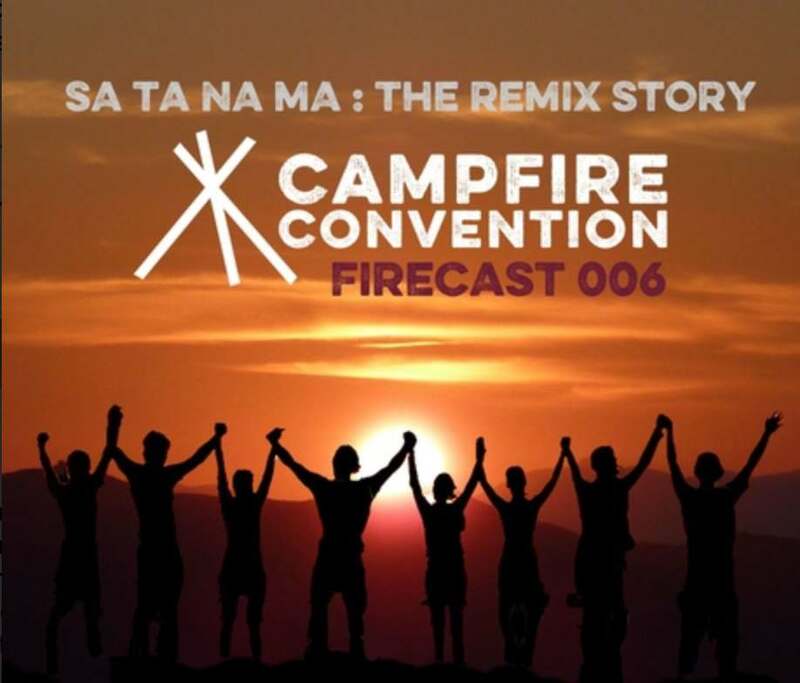 The Sa Ta Na Ma track by the Campfire Circle Singers has marked Campfire founder and firestarter Pete Lawrence's return to the recording studio for the first time in over a decade. Hear the main players talking about their parts in the the making of a truly collaborative tune. Interviews with Pete Lawrence, Bryony Croft, Tobias Hug, Bruce Bickerton, Graeme Holdaway, Kimm Fearnley and Paul Leonard..
A selection of our members highpoints of 2017 : we feature Barry Cawston, Julia Black, Tobias Hug, Juliet Maclay, Kate Edgley, Guy Morley, Anthea Davies, Luke Flegg, Ruth Wallsgrove, Mads Ryle, Jenny Barrett, Lorraine Inglis, Steve Hoare and Eugenie Arrowsmith.